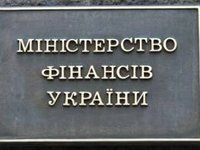 The Finance Ministry of Ukraine has proposed that the limit for transactions subject to control under transfer pricing rules should removed and will provide a simulation in the short presentation on tax reform that will be prepared by September. The ministry also proposed that the upper limit of fines for non-submission of documents on transfer pricing should be canceled, and requirements for these documents for internal group services should be specified in detail. In addition, the ministry proposed that additional requirements on information disclosure for large groups of companies under the rules of the Organization for Economic Co-operation and Development (OECD) should be introduced. The ministry proposed that special rules for exchange traded commodities in transfer pricing for large business should be revoked, and for small business – the requirements to prepare documents on transfer pricing. The ministry proposed that the limit on the size of stakes to define affiliated persons should be increased, the requirements on the comparability of transactions and paperwork for services with low added value should be relaxed, and the possibility of submitting documents electronically should be considered. The ministry proposed that rules for low-tax jurisdictions should specified, grouping of these transactions for submission of documents should be allowed, and the use of other methods of transfer pricing should be permitted.